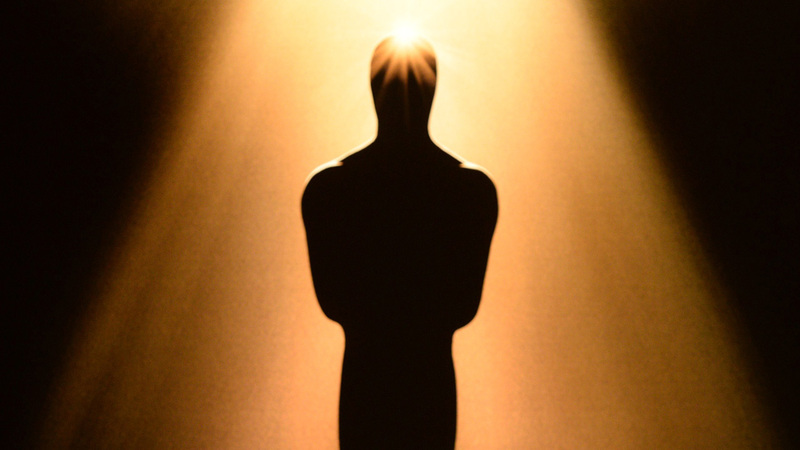 Will Leschber covers the Oscars. The year so far has proved to be quite full. I hear the echo of many friends reflecting that the last two months were supposed to be the slower, quieter time of the year. A respite from the hectic end of the year. Instead this pair of dwindling winter months have shown to be more full of work, more full of creative endeavors, more full of social obligation, just more full. This isn’t necessarily a bad thing. But it can overwhelm. Personally, I’ve experienced a stupidly abundant work schedule, a piercing desire to spend quality time with my fiancée, an unsatisfied need to connect with friends who also have no free time, and a responsibility to help plan a wedding (my wedding) which is approaching near summer’s dawn. Any one of these is enough to over run someone’s time. That’s the contemporary curse, I guess. Never time enough. What is needed is a little personal rejuvenation. We all have our own ways to replenish. What that looks like for me this time of year is the Academy Awards. It’s my annual oasis of enjoyment. As I watched the 86th Oscar Ceremony, I thought that is may be the closest thing that general mass audiences get to attending a live theatrical event. The award show may resemble something closer to a variety show than a fully produced play, but all of the components that make good theatre are still crucial to the event. Good writing, emotional connection, production value, pacing, entertainment value, performance: these all contribute to a quality live performance (live theatre or live Oscar telecast, alike). Much of this falls to the hands of the host. This year Ellen DeGeneres was safe and vanilla and mostly unmemorable (besides the wonderful Twitter crashing celebrity selfie, of course). I may be in the minority but I preferred last years Seth MacFarlane who brought energy and crass and triple threat talent. He may have been more controversial than Hollywood would like but man do I remember how impressed I was with his entertaining singing and dancing. Talk about quality theatrical performance! But that’s beside the point. DeGeneres may have been off her game but she was fine enough and more importantly there was so much more to enjoy. With the highest television ratings in 10 years (43 million viewers) was the telecast deserving of the hate it received afterwards? It seems an annual activity to berate the Oscars and I think it lazy reporting and lazy viewership. Calling the show boring, long and self-involved is shooting at an easy target. The Academy Awards are always long. Get used to it. This jab has been used for decades. It’s cliche. Plus the broadcasts are in actuality getting shorter (at least since 2002). If you find the show boring, maybe it’s because you lazily haven’t seen the majority of the films and have no stake in the categories. If you find the show self involved, maybe you weren’t aware that it’s an AWARD SHOW. That is the nature of award shows. There are so many positive aspects to the Oscars and I derive so much personal joy from the discussions around and the show itself. I just hate to see all the hate. Amongst the highlights in this years Oscar ceremony, here’s a short list of things worth noting and remembering. #5- No one’s acceptance speech was played off. I love love love that all the winners were given more time to speak. No one seemed to go long. At the pinnacle of someone’s career, is it really too much to ask to give them an extra 15 seconds to thank those who helped them arrive at a personal career high? Thank you who’s ever choice this was. #4- The quality of the speeches overall was exceptional. When you find the bulk of your Oscar party getting dusty eyed at the speech of Best Animated Short film you know this is a good year for speeches. So many this year were emotionally engaging even if most of the viewing audiences were unfamiliar with the films. #3- The mass appeal and the critical appeal were equally satisfied when best director and best picture split to Gravity and 12 Years a Slave. Usually Oscar awards one over the other. It was wonderful to see both recognized. #2- Oscar got it right this year. Some have said the winners were to predictable and yet I was more satisfied by this years winners than many other collective Oscar years. Obviously this is subjective, and yes, I have minor personal gripes: the Inside Llweyn Davis shutout, Joaquin Phoenix, Chiwetel Ejiofor, Tom Hanks, Robert Redford, I could go on). But, not only were the winners satisfying but the overall range of nominated film was exceptional. Even though it wasn’t going to win, I’m overjoyed my favorite film of the year, Her, was included in the Best Picture catergory. It was a good year for film. Lupita Nyongo Speech Best Supporting Actress. 2014. video. entertainment.time.comWeb. 4 Mar 2014. Oscar 2014. 2014. Photograph. http://www.theguardian.comWeb. 4 Mar 2014. 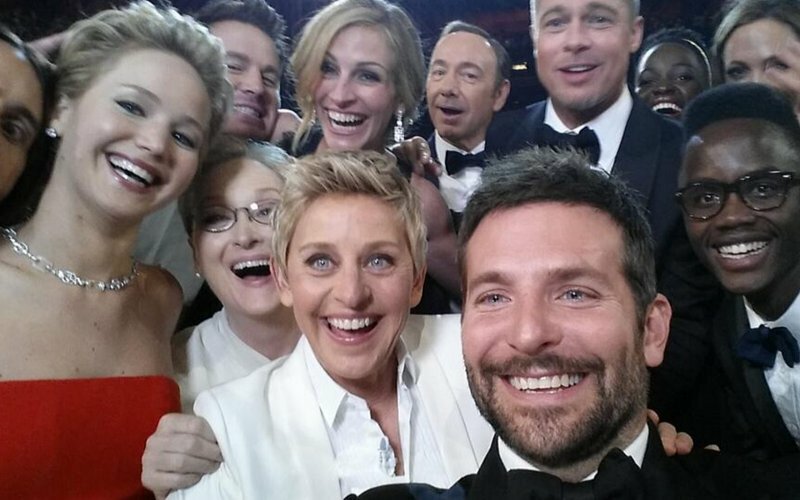 Oscar Selfie. 2014. Photograph. http://www.thedailybeast.comWeb. 4 Mar 2014.